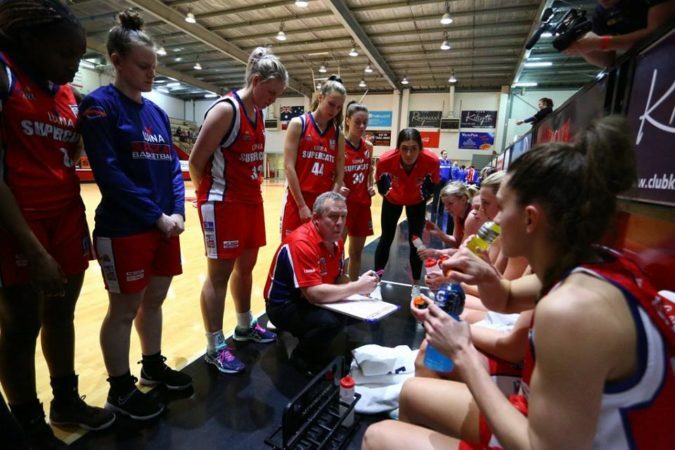 Gerard Hillier is Director of Coaching & Development at Southern Peninsula Basketball Association, and Basketball Victoria Country’s U18 Girls Head Coach. 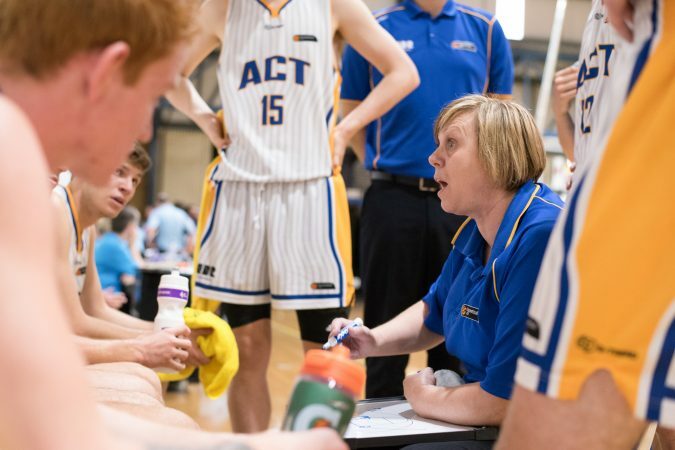 September 2011, the VJBL season had come to an end and our association had begun the review process of staff, what needed to be done in moving forward, and – most importantly for me – who was going to replace our outgoing Director of Coaching (DoC) who needed to stand down as a result of growing work commitments. 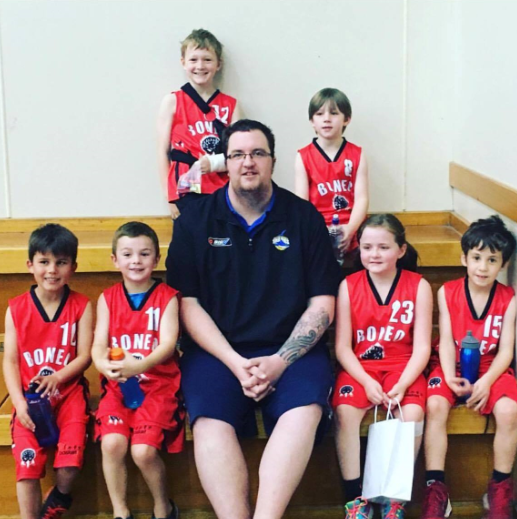 At this point in time I was the full-time Administrator for the Southern Peninsula Sharks, and only coached outside of my working hours, and the DoC role was part time, more of a “hobby position” for lack of a better term. As any other young and eager coach would do, I threw my hat in the ring without giving it much thought at all. I sold my case as best I could, and before you know it 2012 had rolled around and I was the newly appointed DoC for the Southern Peninsula Sharks. In all honesty I had zero experience in leading a basketball program, had very little idea on how to build a culture, and had very little idea on what was required and where we needed to head as a program. Excitement and joy of the new position very quickly turned to anxiety and doubt in my ability to carry out the work required. I remember making a late night phone call to one of my mentors at the time, someone who I had spent a large amount of time with during my time in the Australian Defence Force. I explained the situation, and sought his advice on what I should do. He replied with something that I still use daily/weekly to this day: “I would think your time in the Army would be a good reflective start point, maybe adjust some of the language and you’ll be good to go”. Seems like a pretty straightforward one to start with, I thought, however I have learnt over the past 5-6 years that actually being seen out on the floor and doing the work is extremely important. Our association rarely had athletes/coaches hitting the floor mid-week before school, or putting in extra work outside of their weekly team sessions. After a number of months of dropping hints to athletes and coaches alike about the need to conduct additional workouts, and having few show interest, I decided to hit the courts and run the sessions myself, inviting anyone that showed interest. It didn’t take long before we had a number of athletes take up the offer, and after that the coaches started to roll in. Not all of them, but enough to start sharing the workload. Nowadays it is commonplace to have our courts buzzing mid-week before school, which is a big step up from having some teams who only trained once per week. I guess we now take it all for granted that we have so many options to get in extra training at Southern Peninsula, and having built the program to now having two additional DoC’s share the workload (Boys & Girls Program). It ultimately started though by hitting the courts, rolling up the sleeves and putting in the work (which sometimes meant 12-16 hour days), in the hope that others would join in, which eventually they did. Leading with your actions and by example; and keeping all of your sessions open to ALL of your coaches is what helped our program begin to build. This would be one of my biggest areas of growth over the journey thus far, starting out with a version of what could be compared to the Ten Commandments, and then over the years learning to lighten up and help others set the standards that drive our association. We have found it most beneficial to work with our coaching groups or players to help build our standards, rather than telling them what the standards are going to be. Of course there are some times where we may need to step in and encourage certain standards, however having the members of our coaching staff and teams set the standards gives them buy-in, and leads them to be more proactive in maintaining the standards. After all, they set them. Again, there is a lot to be said about “lead by example”, as the old saying “do as I say, not as I do” doesn’t really work in the real world. Having your staff and players see you setting and holding high standards is the best form of standard-setting there is, both on and off court. 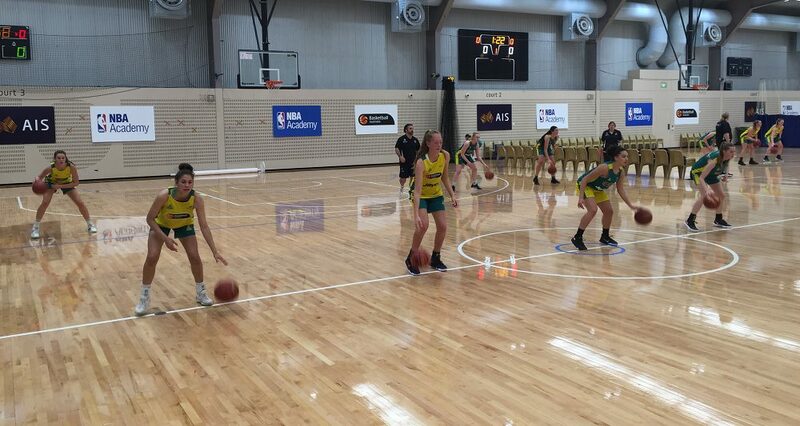 It is the same impact that I get when I am fortunate to sit in on some Opals camps or Australian Development Camps, I always leave thinking along the lines of “wow, they have great detail in their sessions” or “the energy during their sessions is great”. I am learning purely by viewing the Head Coaches own personal standards being put on display. 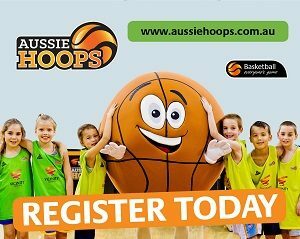 Early morning sessions, running Vicinity Centres Aussie Hoops sessions, hitting the school clinic trail, working those Bunning’s BBQs, filling in as coach for the U12 3rd team – yep, I love it and see it all as part of my role. I really enjoy getting back to the grassroots programs and jumping on court to coach them, the sense of bringing you back to reality and working with the most raw and blank of canvases reminds me of why we do what we do, for the love of the sport. 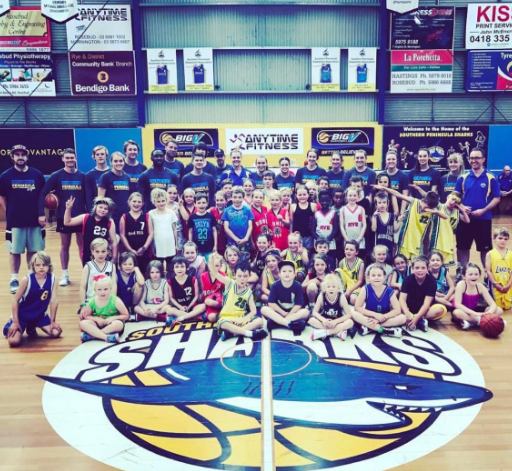 Taking Vicinity Centres Aussie Hoops sessions and working the school clinics after a big weekend away with the State teams is always a challenge. But it is a great reminder of why we love basketball – the pure joy of the young kids jacking up shots is refreshing. There is also a lot to be said about jumping in and doing the little jobs that we expect all our families to do. I don’t believe anyone within a club or association is above this, jumping on board and pitching in is a great way to get to know the families within your program and show them that you’re human too! Learning the art of listening has taken some time, and truly appreciating the benefits of it are only really just coming to the surface. For some reason I always thought I needed to be giving answers and direction every time someone from within our program spoke to me. I would often find myself giving answers to questions that I didn’t actually comprehend, mainly because I was thinking of an answer before the question was complete. Anticipation to answer didn’t allow me to listen and understand. Listen more, speak less; you don’t need an answer for everything. Someone once told me that the coaching group I lead would only ever be as good as the level of the knowledge I possessed; and I have heard a number of times something similar regarding players and their coach. My greatest challenge is continually finding ways for the coaches within our program to gain knowledge and be exposed to new things: clinics, online documents, blog references, or inviting them along to our Senior Program sessions and games. The same goes with our weekly NITP sessions – come along and learn! There is also great merit in encouraging coaches within your program to seek mentors outside of your program, maybe even different sports. I believe it is very short-sighted to only teach “the Southern Pen way”; to have our coaches learning a broad range of concepts and ideas will only benefit our players and program in the long run. Who knows, maybe one of those external coaches will learn something from a Southern Pen coach??? Fantastic Coach and unbelievably great leader. Gerard is so invested in the success not only of his senior players but puts so much energy and thankless hour’s into the juniors. Knowing the work he puts in will make great seniors. Hope Gerard gets all the recognition he deserves now and for his future in basketball hopefully one day for our country. What was the last activity you used to grow the connection within your youth team? Perhaps it’s your first training session of the season, or maybe you’ve recognised a need to galvanise your group mid-season, so here are 10 quick activities you can conduct at training to promote interaction and cohesion within your team. Sometimes the traditional ones stick around for a reason. Players line up along the sideline, and the coach prompts players to order themselves according to birthday (January 1 – December 31), using their voice. This allows the coach to teach about the importance of good communication, particularly non-verbal communication. A reward such as a players’ choice activity can be provided if the entire group can order themselves correctly. Players are split into teams of 4-5 (the longer the better), and form a ‘snake’ like line on the baseline. Players stand close enough to each other such that a basketball can be held between the back of one player and the chest of the player standing behind them without touching the ball with – hands. Teams race to complete a course advance to the half-way line and back, without dropping a basketball or touching one with their hands. If a ball is dropped, teams must stop and replace the ball before resuming the race. We typically add unusual equipment (such as a tennis ball or pool noodle) into a dribbling drill to draw focus away from the dribbling task – here is a variation that encourages communication and builds relationships within your group. Players adopt a typical two-ball dribbling activity, where the dribbler must perform two-ball dribbling moves whilst progressing from baseline-to-baseline, and their partner acts as a ‘spotter’ for loose balls. However in this version, the ‘spotter’ is required to tell the dribbler a story as they complete the dribbling task. Once they reach the opposite baseline, they must repeat and/or answer a question about the story they have just been told. Known as the dual-task paradigm, the ability to absorb a story whilst dribbling closely relates to the ability to process movements of nine other players. This also provides players with an opportunity to practice the important life skill of active listening. A team standard, rule or value has exponentially greater weight when it is delivered by the players rather than the coach, and provides the coach with greater leverage to enforce those underpinning behaviours as the season progresses. I’ve completed this exercise with 12-13 year olds, and I’m sure coaches smarter than I have done it with players even younger. Ask for one player to act as scribe – preferably one with legible handwriting, and guide the group through a brainstorming session on the three questions below. Give them a gentle push in the right direction where needed, but resist the temptation to fill awkward silences, or impose your pre-conceived notions on what the answers should be. 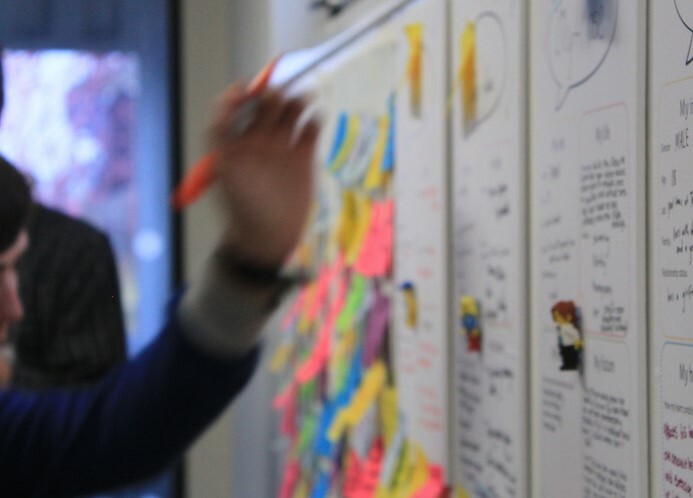 ‘Design Thinking’ is a contemporary and effective way to create solutions in the workplace, and can also be a novel way to engage your players. What is your role on this team? What do you enjoy most about trainings? What are your expectations of your teammates? What are your expectations of your coaches? How could we perform better in games? Players place their answers on the wall, and if another player has the same answer, they are grouped together. Now you have a wall of colour and perspectives from your team, it’s time to reflect with the group and ask – ‘what are we seeing here?’ Which theme emerges as the most important to your players? A good exercise to break down barriers early in a season. Players take turns at telling the group three facts about themselves – two truths and one lie. Teammates must guess which fact they believe is the lie! Every few minutes within your small-sided games, promote opportunities for teams to ‘huddle’ and discuss their tactics. 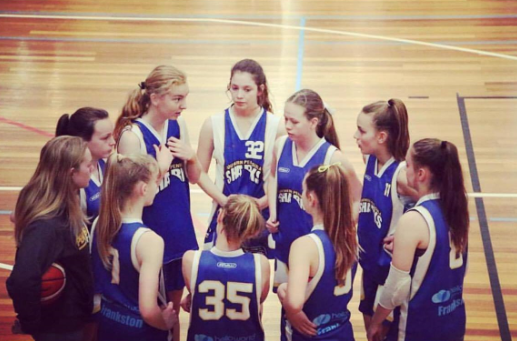 In younger age groups the players may initially not know what to say – leave them to work through the uncomfortable silence – but don’t underestimate how young players can effectively huddle. I recall coaching a team of Under 9s who by the end of the season were relaying messages to me from mid-game huddles “Next time on defence we’re going to trap the first pass”. They are your proudest moments as coaches, as opposed to drawing up plays on a whiteboard. Trust, fun, communication and shooting – all in one! Players are split into pairs with one basketball between them, placed randomly on the court. One player is blind-folded (a tea-towel folded diagonally is usually a good option) and spun in circles by their partner. When the coach calls “Go!”, the partner must direct their teammate using verbal cues only towards the ball, then towards the basket, before directing them where/how to shoot. The first team to score a basket is the winner. Ensure to praise players who provide good, thoughtful communication to their partner. 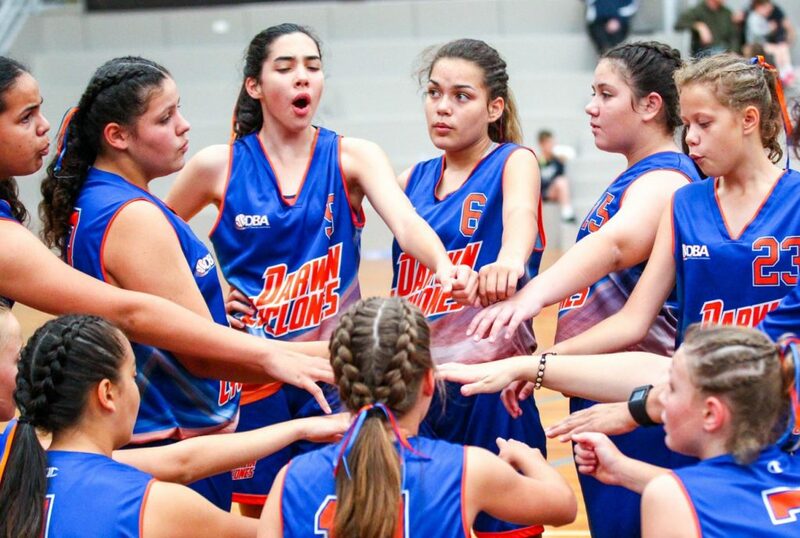 As important as developing cohesion on the court is, socialising and spending time together off the court can be just as – if not more – beneficial as the various activities delivered by coaches in trainings. 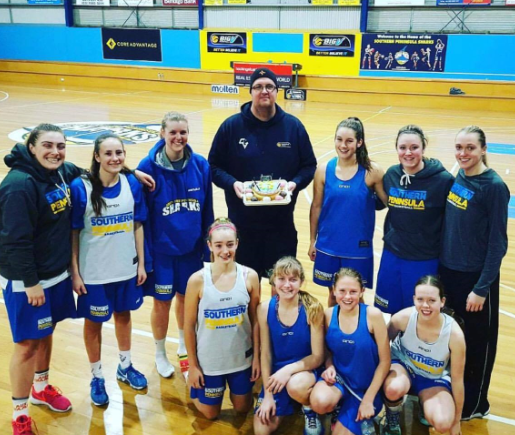 By organising something as simple as a team barbecue, a stronger bond between the coach, players and their families can be achieved, which can translate to a higher team morale and a greater enjoyment of the sport of basketball. Share with us – what other activities have you used to grow the connection within your youth team? One of the key tools for any coach is their language and the ability to communicate to athletes in a clear, precise and concise way. Across all sports, the very best coaches are able to take a large amount of information and refine it to a phrase or teaching cue that makes it efficient and effective. The internet and social media are full of concise sayings and phrases from the likes of Wooden, Belichick, Krzyzewski, Ferguson, Clarkson and Summitt and their ability to fashion information into learning sets them apart in their respective sports. With the world now smaller than ever, access to information, innovation, ideas and new concepts is easier than ever. But that can also create a level of “white noise” for the young coach and the challenge of not only selecting what to teach and emphasise, but just how to communicate that knowledge is significant. Your coaching language will define your coaching. How you communicate, listen and engage is the essence of coaching and in our sport, the learning lives in the language. Perhaps more than any sport, our game is one of jargon. There are skills and concepts that have four or five different names and young athletes may be exposed to all of these as they move from club coach to rep coach to school coach to state team coach. While some suggest this is a negative and creates confusion, the reality is players are smarter than coaches often give them credit for and have the ability to absorb a wide sphere of information, now more than ever. The advantages of jargon or coaching language is often it is descriptive, prescriptive and paints a picture with words. It can also make communication more efficient; when a word or phrase replaces multiple sentences to teach or describe an action or skill. The challenge for coaches at all levels is to turn jargon into language, to take these key words from “coach speak” to how you and your players communicate the game. Defining and refining your language within the team or program is crucially important. In such a dynamic environment, efficiency of communication is priceless and time invested in arriving at a common and invested system is valuable. If there is clarity by all coaches and players in a team or program, jargon quickly becomes language and now there is effective communication taking place – perhaps one of the biggest challenges for coaches, getting players to talk on the floor. By defining your coaching language and sharing that clarity with the athletes, the way you teach and the way athletes learn and respond can be more efficient. One way of streamlining your language for the game setting is to create terms of action words for various actions or movements. For example, if you define a dribble entry as a “push”, a middle ball screen as a “hit” and keeping the low post down in the pick and roll as “stay”, that action can quickly be defined as “push-hit-stay”. Three words define three different concepts and provide clarity for the group. It can also be quickly changed if the language for a “roll and rise” action in this setting is “lift”, the action becomes “push-hit-lift”. Hardly rocket science, but a valuable way to make your language efficient and prescriptive. This will assist in practice and teaching as well. Once you have established your language cues, the players don’t have to sift through a lot of long descriptions or teaching points, rather react to the efficient language, which assists to embed the learning. That is not to say the language has to be complicated, trendy or the latest from the NBA. Your coaching language has to suit your personality and teaching style and more importantly, be understood by the target audience – the players. Early in the season, time invested in clearly explaining and defining your key action words and the language of the team or program is valuable. At the professional or international level where athletes train more and have more experience, a coach may loop four or five different language cues into an instruction and have every expectation for the athletes to respond accordingly. Rather than have to detail in the heat of a late game time-out an action such as running the Flow offence, with a shallow cut, into a Horns setting to a post dive and throw back for a three-point shot, it may simply be “Flow, Irish, dive, pop”. 3) ability to communicate in short, sharp phrases that are catchy & can be remembered by players=“eyes up, head up”. So how do you define your language. In an association or program setting, the Director of Coaching or head coach may define it and the job of the team coach is to ensure their players understand the club philosophy. This allows for consistency through the program or association and provides a level of comfort for the players as they progress through teams or age groups. Understanding – what does everything mean? When devising your own language as a coach, rather than mimic another coach or something you have seen on television, use what has worked for you. At the Under 12 and 14 level in particularly, use what resonates with the players. Avoid being stubborn, the idea behind defining and refining your coaching language is to make life easier for the players to learn, develop and perform. A worthwhile exercise for any coach is to take some time to sit and write down their language in teaching the sport. What words and terms do you use to speak the game? Produce a “brain dump” of all the words, phrases and terms you use across all aspects of the sport, from fundamentals to concept to strategy. Leave it for a day, then revisit it and try to assess against the three tiers of simplicity, clarity and understanding. Then give it to a coaching colleague who does not work within your team or program and ask them to apply the same test. The big test is to give it to a non-basketball person and ask them to have a look at it and challenge you as to the why of it all. Once you have completed your “filter”, take some time to write your new efficient language down and produce a document you can constantly refer to, but also share with your assistant coaches. The act of committing your thoughts to paper allows you to document your process and embeds the ongoing development of your language. The document will obviously be dynamic and quite fluid, as you identify new, more efficient ways to describe and teach. You will learn from the athletes, they will be quick to demonstrate just how efficient your language is and you will know very early if there is a lack of clarity around what you say and how you say it. Make it fun and dynamic. Coaches often bemoan the limited time they have to practice with and prepare their team. With most junior coaches restricted to 2-3 hours of practice time each week, the importance of planning each session to get maximum efficiency can’t be overstated. With the challenges players running in the door from school or other activities and the next team’s session starting in exactly 90-minutes, planning and ensuring you move quickly from drill to drill, concept to concept is so important for coaches at all levels. Here are some ideas in building your practice plan. Regardless of the sport, players don’t like to wait in lines for their next repetition or “turn”. Take a quick audit of your drills, can you add a basketball or two to create more activity or can you introduce another skill to get more drill out of the drill? In AFL circles, they talk about “less laps, less lines and more balls”. The same can be applied to the basketball setting. Again, think about the structure of your favourite drill, can there be one or two elements to ensure it is a more dynamic learning environment? Can a drill that features lines be turned into something that can be practised in pairs or groups of three? With limited time, each minute wasted is a minute lost. The warm-up is a crucial aspect of any session and coaches should incorporate a dynamic warm-up that includes the physical aspect (heart rate up, blood flow to muscles) and neural aspects (engagement and focus). Add a basketball component to this setting wherever you can. Even for stretching and functional movement such as lunges or squats, can this be done with a basketball in hand? Plan the warm-up so it is progressive and allows you to move straight into a relatively high intensity opening drill or breakdown. Linking the physical warm-up to skill is important in not only using time efficiently, but in getting athletes engaged. 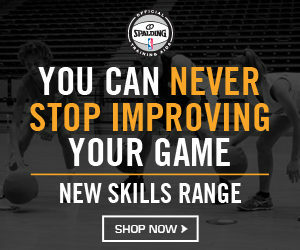 Skill aspects such as ball handling, dexterity or passing can be easily implemented into the warm-up and will ensure the tone is set of engagement and having a ball in hand. In the younger age groups, think about the importance of everyone having a ball for as much of the first eight to 10 minutes of the session to build dexterity and confidence. Our game has more time elements than most other sports. From four 10-minute quarters, to the 24 second shot clock, to eight seconds in the back court, three seconds in the key, five seconds to in-bound and one-minute time-outs, our sport is driven by time. That being the case, helping players understand the value of time in our sport is crucial and should be a component of your training session. Use the score-clock where possible, plan time blocks for each skill and concept and stay on time. Basketball is such a game of skill that coaches, particularly youth coaches, have a wide range of skills to teach, drill and refine. To ensure players are receiving a holistic development and you are creating multi-skilled players, planning and being disciplined with time blocks is a must for the junior coach. Consider splitting your session into training blocks and endeavour to stay disciplined with these allocations of time. While six minutes may not seem long enough to have a significant influence on a skill or concept, with efficient planning and a “game sense” approach it can be. Some coaches will use training blocks of eight minutes, with 10 being at the outside range of efficiency in the youth session. In a 90-minute session, 10 minutes equates to some 11 per cent of total practice time, it does not take too long for three or four drills total and with warm-up you are towards half your session. Time spent teaching drills is important, but also eats into the time young players are practicing. Every time you spend time teaching a drill, you are not necessarily teaching the skill. Drills are important, but time can often be wasted continually introducing and teaching new drills. The same can be said in setting up the next drill. While variation is important in a training session, using drill series or progression drills can make for a more time efficient practice. Think about the “plus one” system for building a drill. Have the players practice a skill in the 1 v 0 setting, then quickly get to the 1 v 1 setting. Add another offensive player to create the 2 v 1 setting, now you have aspects of numerical advantage and decision making. This “plus one” mentality means you are not losing time introducing the “next drill”, more so you are growing the drill in a game sense approach. It is a great way to move quickly through practice and also has the benefit of exposing players to the different situations that happen in a game. The game is a constant series of situations of numerical advantage or disadvantage and the “plus one” method allows players to enjoy success (a key aspect of learning) in this setting. By building 1 v 0 to 1 v1, into 2 v 1, then 2 v 2 (concept development) and then the crucial 3 v 2 and 3 v 3 settings, players will have the opportunity to explore, create and learn the skills required to play effectively. The “advent” of small-sided games as a key teaching method in sport is far from new in basketball circles. Basketballers have been playing 1 v 1, 2 v 2 and 3 v 3 since the peach basket days and these settings have always been a staple of training sessions. Tailoring the small-sided setting to stimulate learning is the challenge and fits with the “game sense” approach to coaching. Adding control mechanisms such as special confines, dribble limits or scoring variations is a great way to keep these small-sided games interesting for players and build on the learning. Part of experiential learning (learning by doing) is the exploration aspect, so coaches need to provide an environment through the drill where players can do just that. 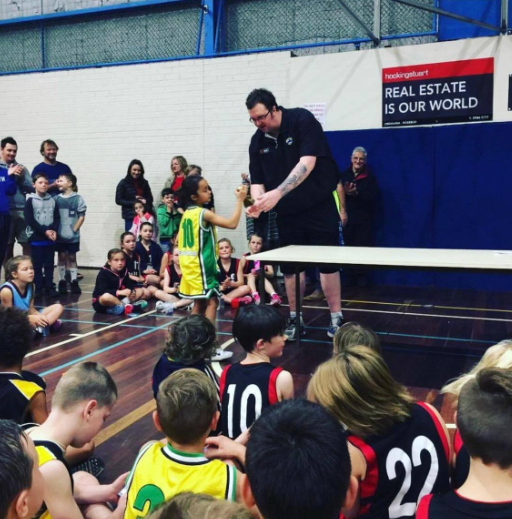 Legendary founder of the “Five Star” Basketball camps in the 1960’s Howard Garfinkel popularised the use of stations to teach skill and ensure players got a well-rounded education in the game. 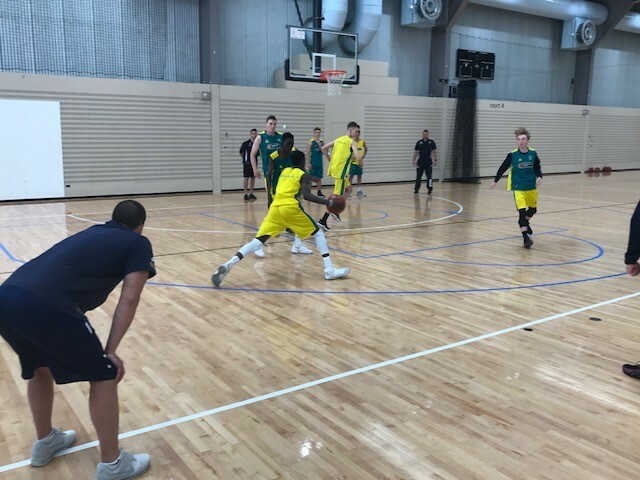 Stations have been a staple of basketball camps ever since, but this method can also be used to good effect in team practice, even with just one or two coaches. Setting stations where small groups of players move through a host of skills or variations on the same skill is an effective use of time. While one coach will not be able to teach in great detail at every station, the setting does allow for high repetition and effective use of space and time. With shooting for example, stations covering form shooting, catch & shoot footwork, shooting off the dribble and shooting off cuts can all be covered in four stations on one court, two each side of the basket. Put 12-minutes on the clock and after the coach has provided clear instruction on the four skills or concepts, players execute each skill for three minutes before rotating to the next. In that 12-minute period, each player has the chance to get up 50-60 shots, in a wide range of settings, from different parts of the court and also make 50 or 60 passes to team-mates. The other effective way to maximise time and learning is to include some positional skill components into your practice plan. At one of the end of the floor, have the perimeter players executing specific skills and concepts, while the interior players are at the other end working on their range of post skills. Learning to compete is very much part of the development of any young player. Ensuring you have as many of your drills with a component of time, score or target (“TST”) is an effective way to encourage competition. We have covered the importance of time in our game. Keeping score in shooting and other drills is another important way to teach competition, as is providing targets for drills. This is nothing new, but sometimes is forgotten as we move from drill to drill. Recording scores and benchmark targets is also important. Coaches need to know what the realistic target is for each drill and once that mark is met consistently, change the benchmark to extend the athletes.